Hailing from the Midwest, U! 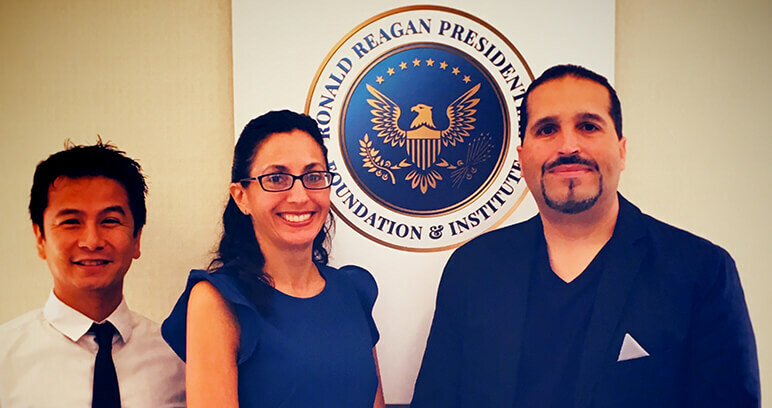 Creative, Inc. beat out multiple Southern California creative agencies to win Reagan Foundation contract to first relaunch their website, then redesign their logo and Brand Guidelines. December 20, 2017—Miamisburg, OH—More than three decades have passed since Ron Campbell wrote a letter to the 40th President of the United States, Ronald Reagan. 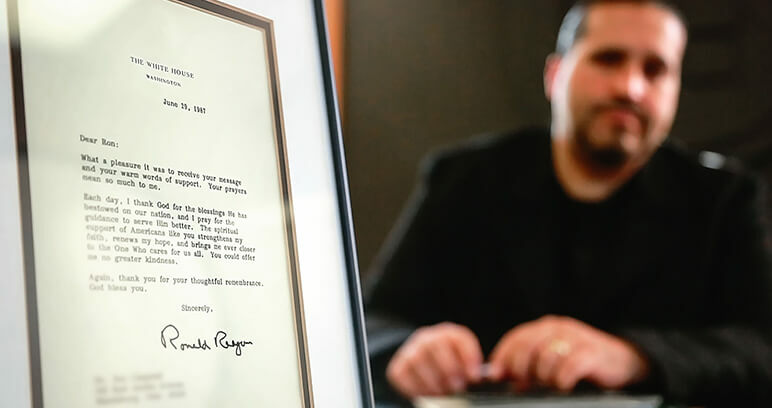 He wrote to tell the president he was praying for him, after President Reagan survived an assassination attempt in March of 1981. 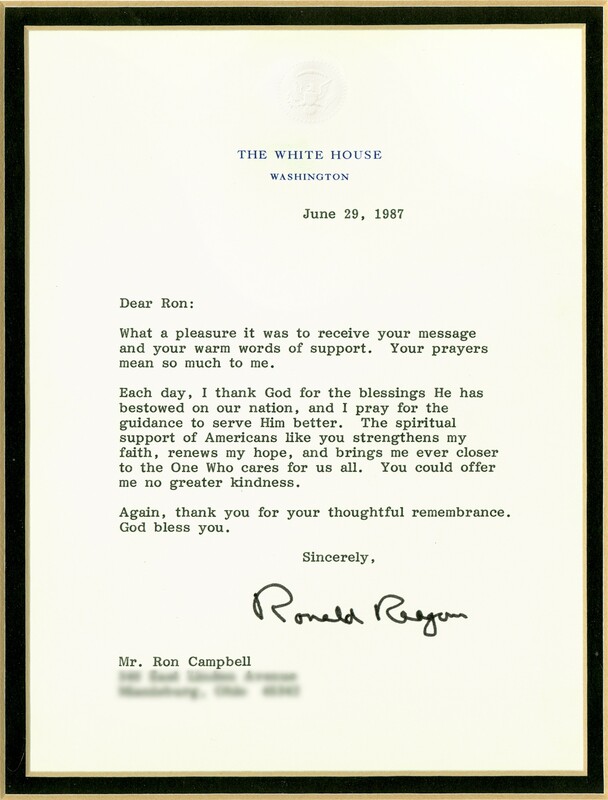 To his surprise, Campbell received a response—and 30 years later, Campbell brought that letter with him when he went to meet with the Ronald Reagan Presidential Foundation & Institute. 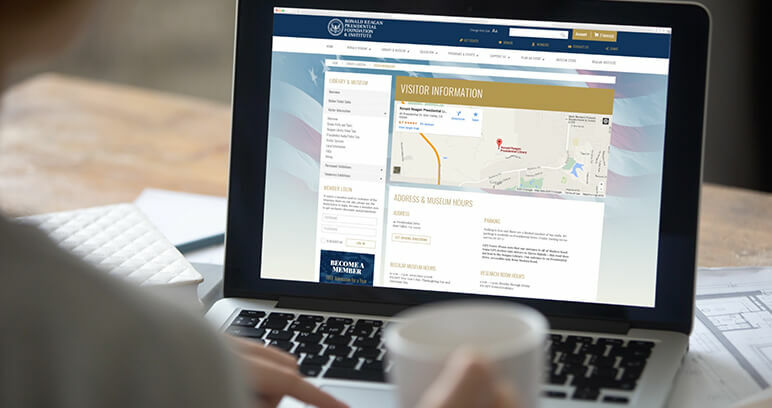 The top-ranked Presidential Library in the world was serving over a million visitors a year on their website. Last updated in 2009, the site needed an overhaul to improve readability, mobile function, content flexibility and robust business system integration. With the additional need to incorporate their new Institute in Washington D.C. into their offering, the overall brand, logo mark and the website itself were in need of presidential attention. 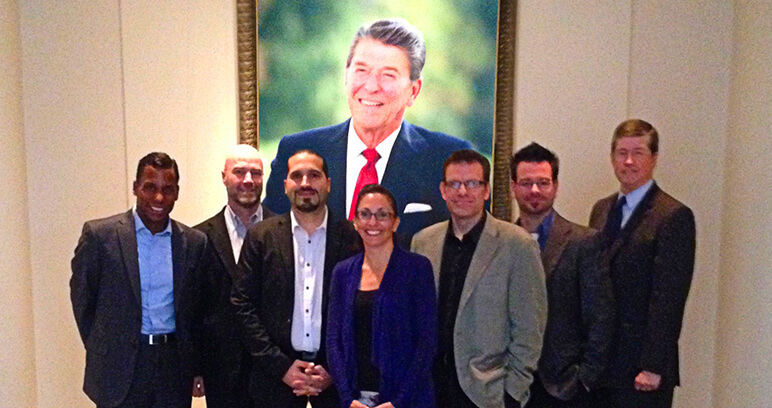 It’s a tall order to be enlisted to uphold the legacy of one of the greatest U.S. Presidents. So when it came to the logo and brand… it must be presidential and live up to the highest of standards ever ready to grace the oval office. Moving on to the website, we designed a solution that would not only elevate the brand, but also meet the needs of all stakeholders, both internal and external. So whether visitors want to conduct research, buy tickets, shop, explore programs and more, the site is optimized to meet their needs in fewer clicks. The logo and brand was presented and quickly blessed by President Reagan’s Chief of Staff and Official Spokesperson for two decades, Mrs. Joanne Drake. 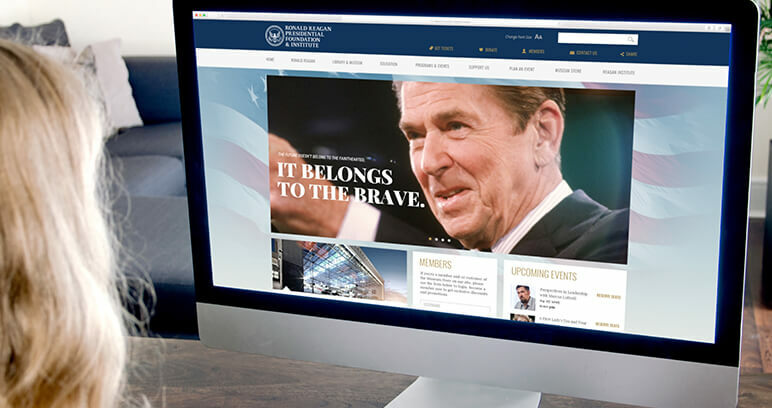 The site launches with overwhelming acceptance by both the Reagan internal team and visitors to the site as everything is much easier to use, update, and navigate.